It freezes most nights now above the city of Cuzco. 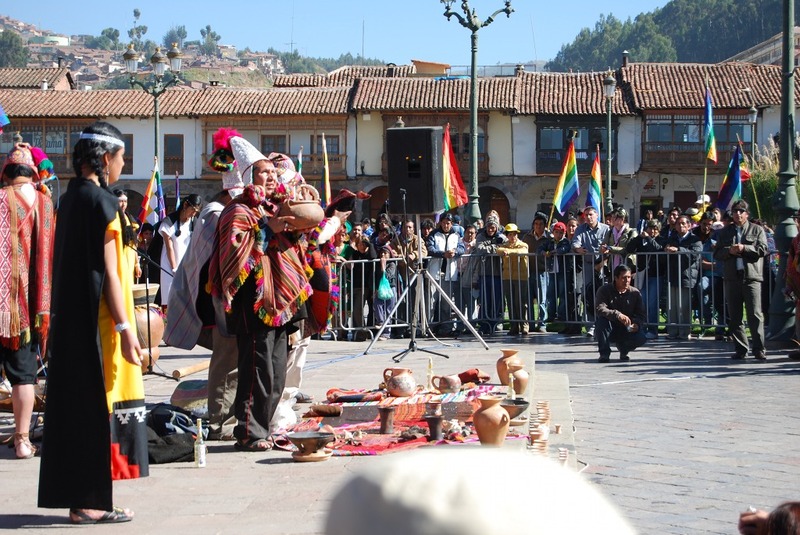 The arrival of the frost marks a major change in the year and, as a result, suddenly a new food appears in Cuzco and people take pleasure in it. 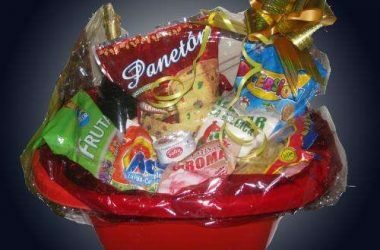 Not surprisingly, it is a form of the potato and today is the Day of the Potato in Peru. The frost, which almost seems a person given the way people talk about it, has been important in the processing and storing of Potatoes since time immemorial. So its arrival is important–it means that people can prepare potatoes to be stored indefinitely such that they are available always for soups and main dishes — and deserves to be marked by the appearance of a seasonal food as a way to acknowledge its arrival and importance. The high season of ritual is upon us. 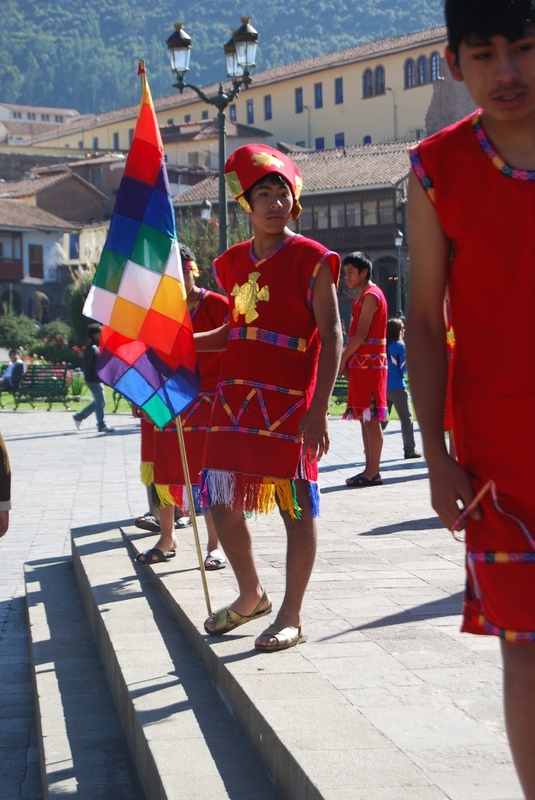 Just yesterday, in Cuzco’s main square, its political leadership came together with indigenous priests (as the altu misayuqkuna–the owners of the high mass or offering–are called now) to make what is called “a payment” or a misa (which joins table and mass into a single word) to the earth. 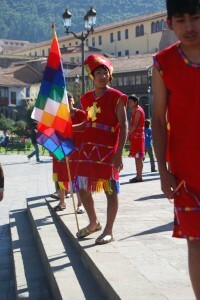 While adolescent boys in Inca dress stood guard, and a band played Inca-ish music on flutes accompanied by drums, the priests dressed in full ceremonial regalia, prepared a complex offering to the earth which they carefully wrapped and lifted to all the surrounding mountains They blew across it as they faced each and invoked its name in Quechua–Apu Pachatusan, Apu Salkantay, Apu Machu Picchu, … Then, after offering chicha to the earth, the priests and authorities gathered on the edge of the main square across from the Cathedral to bury the payment to the earth. The word payment is appropriate for what is also considered a mass. The earth has abundantly given of herself in the form of potatoes and other tubers which fill the markets and people’s storage bins. 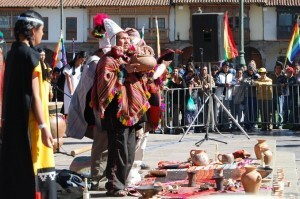 Now people, as the season of Inti Raymi and other ritual begins, give her something in return. They strengthen their ties of reciprocity with her. It is the time of the potato and the earth, taking potatoes out of her womb and returning offerings–payments–to her. 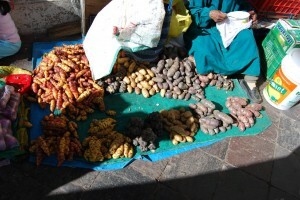 Potatoes are still, despite the onset of rice and wheat, one of the staples of Peru. According to the Peruvian Ministry of Agriculture, which declared this to be the Day of the Potato, each Peruvian eats on average 83 kg. of potatoes per year. That works out to be almost a quarter kilo (or close to a half pound) of potatoes per day. And that number is on the rise. People are eating more potatoes, the fruit of Peru´s earth. The flat areas by this tourist and local treasure are covered with straw on which variegated potatoes are strewn. At night they freeze and in the day time they thaw as the temperatures climb to shirt-sleeve standards. Night-time frost and day-time thaw marks a paradigm of a resting earth and a ceremonial time as a paradigm of dualism that fills Andean thought. 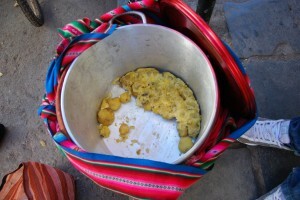 The smaller potatoes, especially of the peruanita variety, are left for two nights to freeze and thaw to make cachu chuño. Sometimes water is scattered on them in the day to enhance the freezing at night. Just as potatoes can be cooked by heat, here the frost does the cooking with cold. 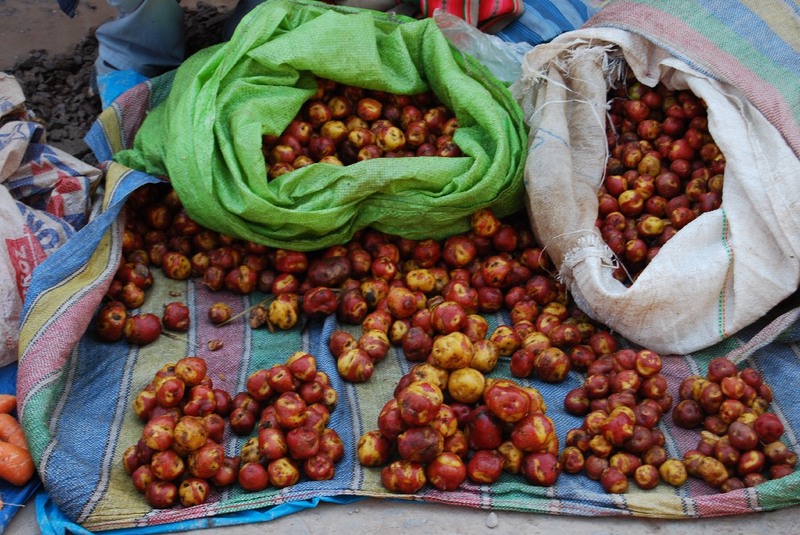 After two days the now transformed potatoes are brought to market where they are displayed often on the same hand woven cloths or commercial plastic sacks in which they were carried. The potatoes look damp and reduced, unlike the firm and plump new potatoes also appearing in the markets. Their skin looks broken. People can buy them that way, to take them home to finish processing them, or they can buy them peeled. 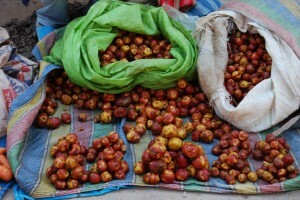 Many of the market women sit peeling the papa helada to sell them white and cooked looking. 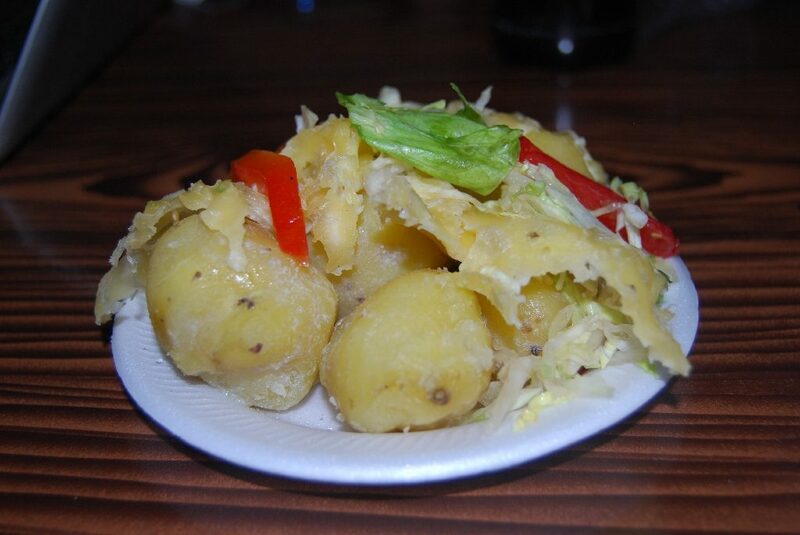 In any case, these days families will eat kachi chuño with cheese–slices of local cheese set in the middle of each potato which is then heated to melt the cheese– and perhaps with fish or pan-fried steak. 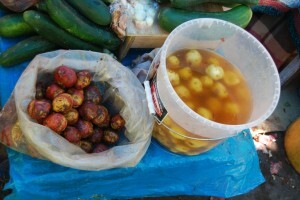 Market women also prepare dishes of papa helada to sell to passersby who with their stomachs mark the change of seasons. Cachu chuño is delicious. The potatoes do not seem to be as starchy as fresh boiled potatoes are, nor are they are moist as fresh potatoes. They combine nicely with the saltiness of the cheese to make a wonderful street food, or a main course in the many households which are eating this dish today. Papa helada is but one of the ways frost processes potatoes. 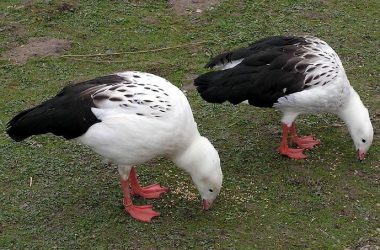 Two others, which rely on much longer freezing and drying, among other things, are Moraya (or Tunta), which spend time in running water to cleanse them of dark color, and chuño itself. Both are widely consumed, but are not quite as seasonal as cachu chuño, which makes it a perfect social marker of a major change in the annual round, which is also marked by the National Day of the Potato.